On Wednesday, Mar. 27, something big is happening at Rutgers. 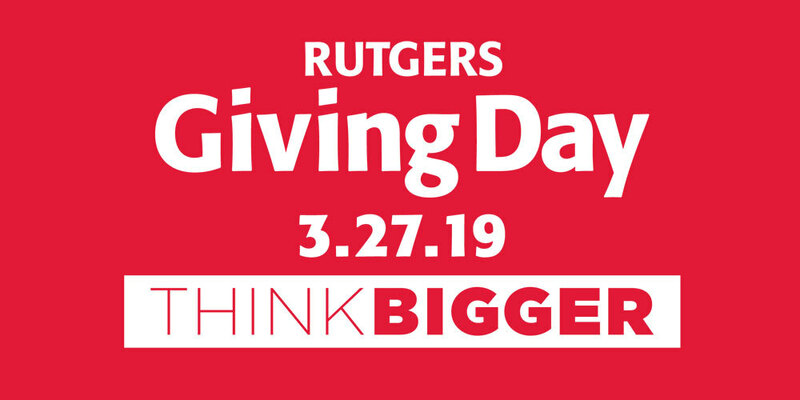 Think big, think really big—think thousands of alumni and friends supporting every Rutgers school and program imaginable. Now, think bigger—the entire Rutgers community making an impact that will transform the future for generations to come. One day, a world of impact. How will you think bigger? Page last updated by Faculty of Arts and Sciences at 8:58 am March 28, 2019 . This page was printed from http://fas.camden.rutgers.edu/2019/03/27/think-bigger-on-mar-27-for-rutgers-giving-day/ at 1:04 AM Wednesday, April 24, 2019.